John O'Grady Sells Real Estate! John O'Grady is a proven Real Estate Professional having been in the Real Estate business since 1993 and is a member of the Vancouver Real Estate Board's Medallion Club (top 10% of Realtors). His vast experience in sales, customer service and negotiating make him the obvious choice to represent you when buying or selling your home. John's expertise in marketing and proven people skills have produced fast, effective results in obtaining the highest possible prices for clients selling their homes. With this website, other national websites, marketing through the MLS system and newspaper advertising, your home will get the most exposure possible. He also goes out of his way to help buyers find the perfect home that is just right for them. He helps them every step of the way until they are given the keys to their new home and even after that! John can also help arrange any financing and/or legal work necessary to complete the transaction. John has hundreds of satisfied clients and it is these past customers that are the backbone of his success. Word of mouth and customer referrals make up the majority of his business. 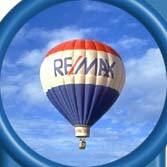 John works alongside his wife, Tracey and combined they have over 30 years Real Estate experience. Tracey is also a licensed Realtor and works behind the scenes taking care of the paperwork, computer details and other day-to-day tasks. Remember, there is no substitute for experience, integrity, patience and trustworthiness! If you are looking for a full-time, knowledgeable Realtor, contact John O'Grady today. Free Market Evaluations are always offered.